The walkthrough for this game is split into the type of missions you can play. The Single Player Campaign takes the side of the US in the war for the Pacific, and throughout the game various objectives must be accomplished. As mentioned in the Getting Started page, there are three kinds of objectives. Primary objectives are required objectives that must be fulfilled in order to be victorious. Failing a primary objective results in defeat for the level. To help you keep track of primary objectives, they are displayed in the objectives panel in the map screen. Secondary objectives are optional objectives that challenge players. Those who complete all primary objectives but fail to accomplish or do not attempt the secondary objectives are rewarded with a bronze medal at the campaign mission selection screen. Those who accomplish both primary and secondary objectives receive a silver medal. Hidden objectives do not appear in the objectives menu, making them truly "hidden". Accomplishing hidden objectives is the only way to receive a gold medal. Ultimately the medals are for bragging rights and do not affect the game's ending or unlock any bonus content. 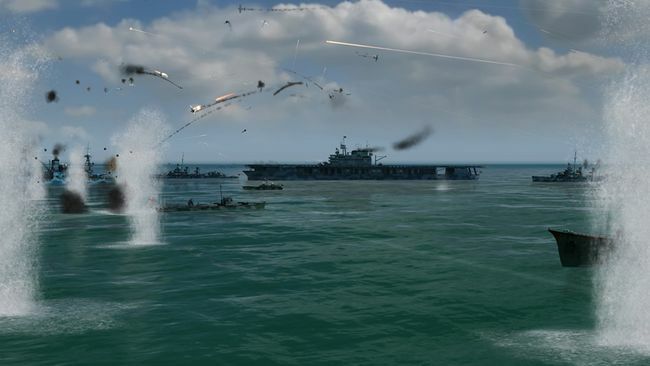 The Challenge Missions not only challenge players oftentimes simple tasks supplemented with extremely stiff resistance, but also give players a chance to play as Japanese forces against the US. Challenge missions do not advance the storyline and are not related to each other, but in order to play a challenge mission the previous mission must have been completed. Like the campaign, there are primary, secondary, and hidden objectives. Click here to start the walkthrough. This page was last edited on 1 December 2007, at 16:43.